At wide open throttle, between 4,400 and 4,800 rpm, Mercruiser’s 1,040-pound 3.0 liter engine produces 135 horsepower. 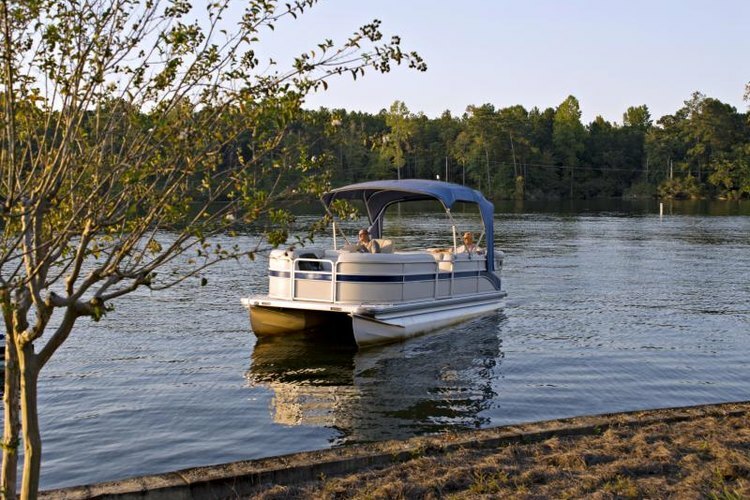 According to Mercury Marine, the engine is a good fit for runabouts up to 19 feet, pontoon boats and fishing boats. The engine has a two-barrel carburetor. It’s bore is 4.00 inches and its stroke is 3.6 inches. Overall, it’s 29 inches long by 26 inches wide and 21 inches high. Internally, the engine’s bore and stroke are 4.00 inches-by-3.60 inches. The Mercruiser 3.0 runs on 87-octane unleaded fuel, including fuel containing up to 10 percent ethanol. It’s equipped with a key-switch ignition that operates a crank fired, high-voltage ignition system, with a coil mounted atop each spark plug that’s controlled directly by the electronic engine management system. The engine has a 65-amp alternator driven by a serpentine belt. Seawater cooled, it has a single-point drain system to evacuate cooling water from both the sterndrive and the engine for storage. The exhaust system is cast iron with a dry-joint elbow to prevent water backflow through the engine. The engine monitoring system has six functions, including a knock control warning, a low drive lubricant warning and a low voltage warning. The EMS also notifies the operator when oil pressure or the water pressure in the seawater cooling system is inadequate. In addition, the EMS prevents the engine from overrevving as it approaches the engine’s maximum operating rpm.